There’s talk on the ground that two things should be considered a basic human right: access to the internet and energy. The argument for both cases is simple. Many fundamental human rights and Sustainable Development Goals increasingly require both either directly or instrumentally to realise them. Is the Internet a Basic Human Right? How about energy? 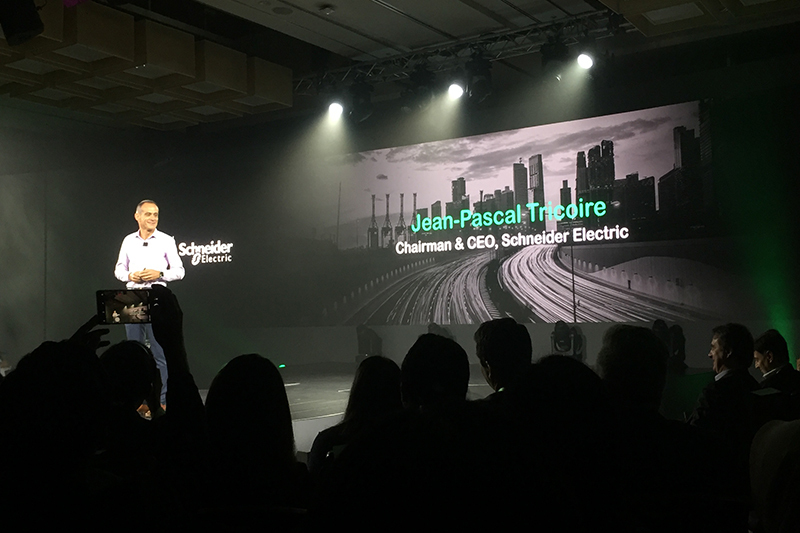 This is Schneider Electric’s bold statement at the opening of its Innovation Summit World Tour in Singapore. “Energy is a basic human right” were the first words of an introductory video, swelling over the thematic lime green trimmings. In its second year running, the Summit holds twenty events around the world. The Singapore leg is its largest in East Asia. The event unveiled the company’s latest development to EcoStruxure over the course of two days. EcoStruxure straddles what the multinational believes will be two megatrends in time to come – digitisation and electrification. Hence, the assertion that energy is a basic human right is not out of place. Schneider Electric is pummelling ahead despite no United Nations resolution which stipulates universal access to energy and the internet as a basic human right. Currently, only a non-binding resolution decrying the purposeful disruption of the internet exists. Conversely, Goal 7 of the United Nation’s Sustainable Development Goals (SDG) ensures access to affordable, reliable, sustainable and modern energy for all. However, the SDG are not legally binding. Without a formal international decree, and thus little push for governments to provide these services universally, what is the French multinational’s big idea? The company’s source of optimism lies in the technology that underpins EcoStruxure. Crystallising EcoStruxure’s purpose would do no justice to what the company has designed it for – innovation at every level. This means transforming every facet of underpinning infrastructure and operations. Synergising the brand’s diverse portfolio expertise, EcoStruxure is an IoT-enabled, plug and play, open, interoperable, architecture and platform. It delivers enhanced value around safety, reliability, efficiency, sustainability and connectivity. To provide its various functions, the architecture leverages on advancement in IoT, mobility, sensing, cloud, analytics and cybersecurity. An ongoing project, the company is working hard to scale and deliver its services to more people around the planet. Thus far, four new developments have surfaced. The first is EcoStruxure Power, the next generation of the company’s IoT-enabled platform and architecture for electrical distribution. Some of its new features include new applications for users, edge control management software (one for power monitoring another for power management and control), and connected products (a meter and energy distribution). Unlike its predecessor, this project will improve power management capabilities for customers by increasing operational efficiency and reliability. A comprehensive second solution is the EcoStruxure Building. This is a smart, collaborative platform and architecture designed for buildings to boost efficiency and improve the user experience in terms of comfort and productivity. A suite of supporting solutions follow. New user applications, a new edge control application and new connected sensor products. 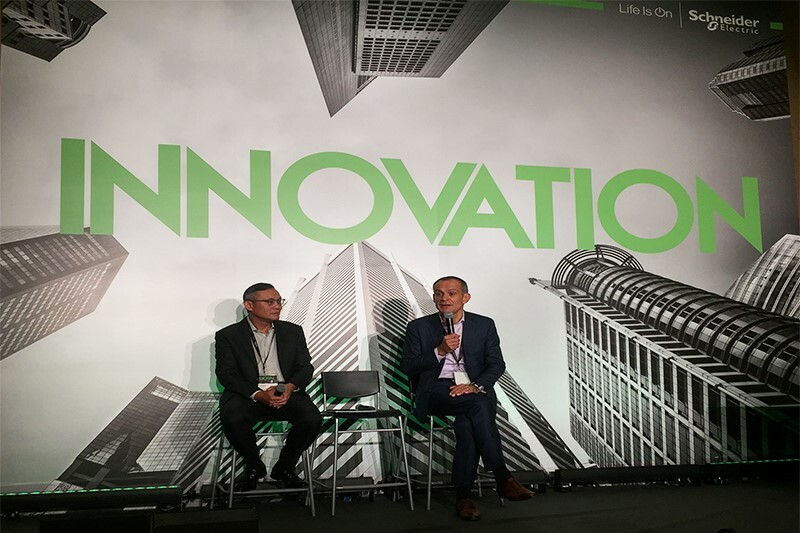 Thirdly, the EcoStruxure Plant and Machine seeks to help manufacturers create new business opportunities through IIoT technologies which include integrated software. They offer a system to improve profitability and a cloud-based services platform for productivity gains. Finally, the company will be rolling out a new version of their equipment monitoring services application, EcoStruxure Asset Advisor. This is a cloud-based, data-driven predictive service. Businesses can rely on it 24/7 for continuity in electrical distribution and critical data centre assets. Important in a digital age where volumes of data generated must accessed at a touch of a finger. Within Asia alone, the company has worked on several public-private partnerships as well as collaborative projects with relevant industry partners. A notable project it had a hand in is India’s first integrated green field smart city project in Naya Paipur. The smart city solution boasts connected products of over 100 000 IO points, edge control, applications, advance analytics and services. On the same day as the Summit, the company announced the introduction of an enhanced Connected Hotel Guest Room Management Solution. The solution provides the best guest experience using an IoT and cloud enabled connectivity ecosystem. Important factors for comfort such as room temperature and lighting can be automatically adjusted. The project was a partnership with two other leading industry players. According to Chairman and CEO, Mr Jean-Pascal Tricoire, projects like these which combine power, energy and digitisation form the foundation of life. In his keynote, Mr Tricoire underscored IoT’s importance in the company’s business strategy. Their IoT strategy looks at integrating services at every point of the customer lifecycle. Already, 45% of its revenues come from IoT technologies. They are looking to raise that margin higher with a deeper focus on doing more business in Asia. As a region of fragmented developmental rates, there is room for the multinational to build new capabilities and test new ideas here. Moreover, there is a sense of corporate responsibility in tiding partners and customers over into the new digital era. With a strong emphasis on driving sustainable and prepared societies, it might be a case of IOU (I owe you) IoT for this company.